Jeff Lemire is interviewed in the London Free Press, part of his recent discussion & signing at L.A.Mood’s. Conundrum Press will be launching 3 new books at the May Comic Art Festival. Kevin profiled two of them recently – Ruts and Gullies and Children of the Atom. Cameron Stewart has decided to attend as well, along with appearances at next weekend’s HobbyStar Toronto ComiCON (Feb. 28), the Wizard show in March, and both the Boston Comic-Con and C2E2 (Chicago) in April. He’ll be a busy guy! Sequential has a press release from gangLion about their new comic anthology and tour presser. 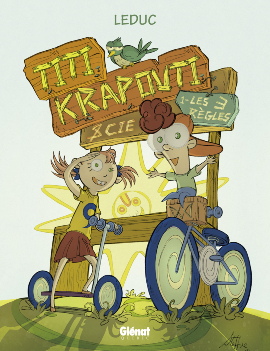 Issue #4 of their anthology will launch in Toronto with a party in Kensington Market, March 1st at The Boat, 158 Augusta Ave.
Planete BD will have a book launch for Stephanie Leduc’s first book Titi Krapouti & Co.
Tome 01 published by Glénat Quebec. This is happening Friday, February 26 from 17h to 19h. 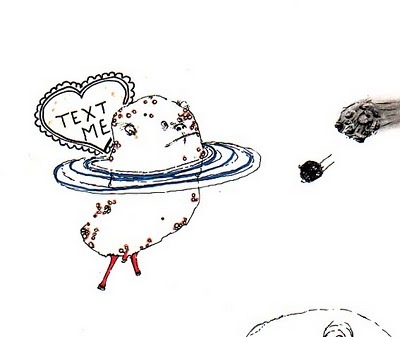 Planete BD is found at 3883, rue Saint-Denis, Montreal. 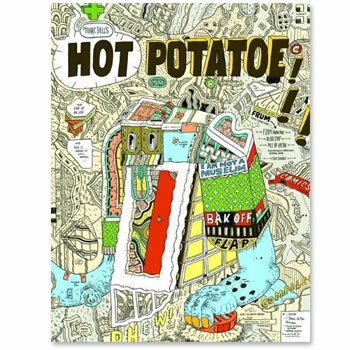 Quill & Quire reviews Marc Bell’s Hot Potatoe. Salon du livre de l’Outaouais (Book Fair Outaouais) is running February 25 – 28, 2010 at 200 Promenade du Portage, Gatineau, QC. Usually some BD programming can be found there. The most recent creations of the Guelph Pen Club are up for your viewing pleasure. There is quite a community of pro and amateur talent in the Quad City area (Guelph, Kitchener, Waterloo, Cambridge). Keep your eyes on the website for the March date. Open invite, feel to drop in. The next Vancouver Comic Jam is Saturday, February 20th, 2010. 8pm until midnight(ish) at The Wallflower: 2420 Main St, Vancouver (Right next door to Rx Comics). Anyone who is of legal drinking age is invited to attend, no admission fee. Bring your own pencils/pens. Paper is provided. This entry was posted in Blogosphere, General Announcements by Robert Haines. Bookmark the permalink.